Did you know that the perfect temperature for a chicken is between 65 and 75 degrees? During the hot summer months, especially in the south, flocks have weeks of temperatures that are dangerous for their health. One important thing you can do is provide shade for them. In addition to trees, shrubs, and plants, we installed a sun shade to the front run where the sun beats in the heaviest. This shade has tiny holes covering the entire surface, which allows the breeze to blow through, but stops direct sunlight from coming in. 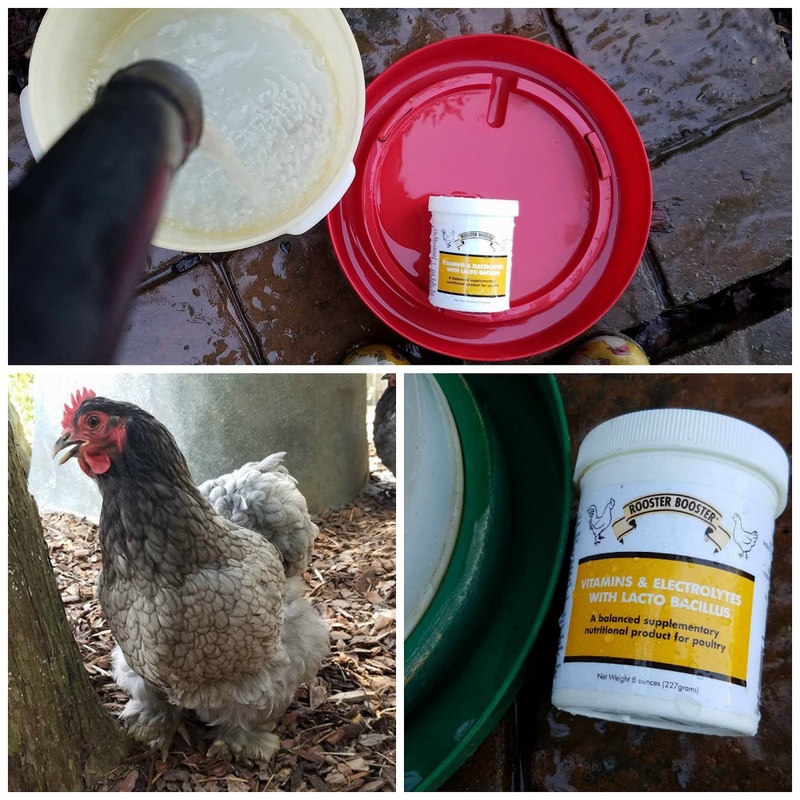 The absolute best way to keep your flock from overheating is to provide a fresh supply of cool water everyday. We attempt to change their waterers several times a day. 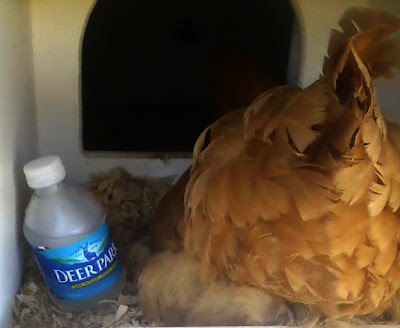 If the water gets hot, chickens usually just won’t drink it, even in this heat. In addition to the cool water, when we have had long stretches of heat, we like to add vitamins and electrolytes to their water. You can make your own electrolyte mixture or purchase a container. This year, I bought this from Rooster Booster, and it has saved me time, and honestly money. The boost in electrolytes will help them battle the cumulative effects of weeks with extreme temperatures. In addition to the fresh water, we like to freeze blocks like this. 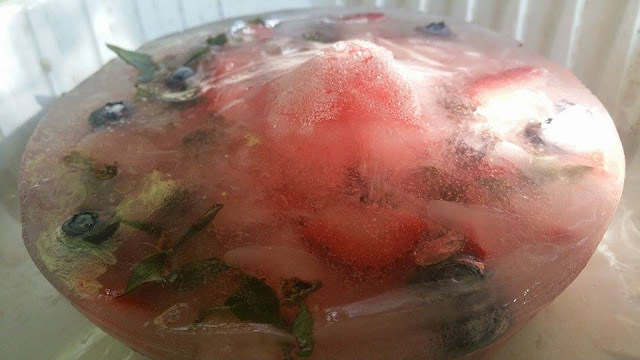 We cut up some fruit/veggies/herbs, and just pour water over it and freeze overnight. We had some strawberry, blueberry, and mint in this one. We place it in a larger bowl, and they can peck at the ice, eat the fruit or veggies, and drink the ice water from the bottom. It is also a great to keep them from getting bored. 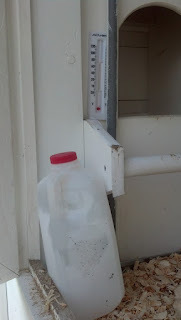 We also freeze bottles of water and place them in the nesting boxes. It doesn’t matter how hot it gets, the girls always come back to their nesting boxes to lay. It is extremely hot inside, so these frozen bottles give them something cool to snuggle up to while they are laying their eggs. 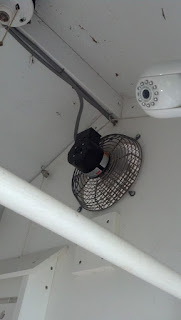 One thing that really helps in the roosting/nesting box area is this exhaust fan. Between the fans we have installed, and the frozen bottles, the only other thing we can do is attempt to pull as much of the heat out of this area as possible. As we all know, heat rises, so this exhaust fan is installed in the top of the box, and we leave it running day and night. 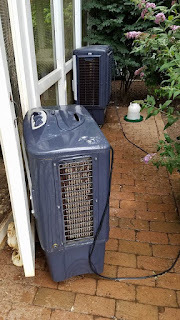 On a final note, we added these evaporative cooling fans to help during the worst days. We add water to the tanks, and turn them on around lunch time. Keeping the air moving really helps to keep the hens cooler. Plus, these fans manage to cool the air temperature by at least ten degrees, without adding any actual mist to the air. Another reason fans are important is that it helps control the flies. 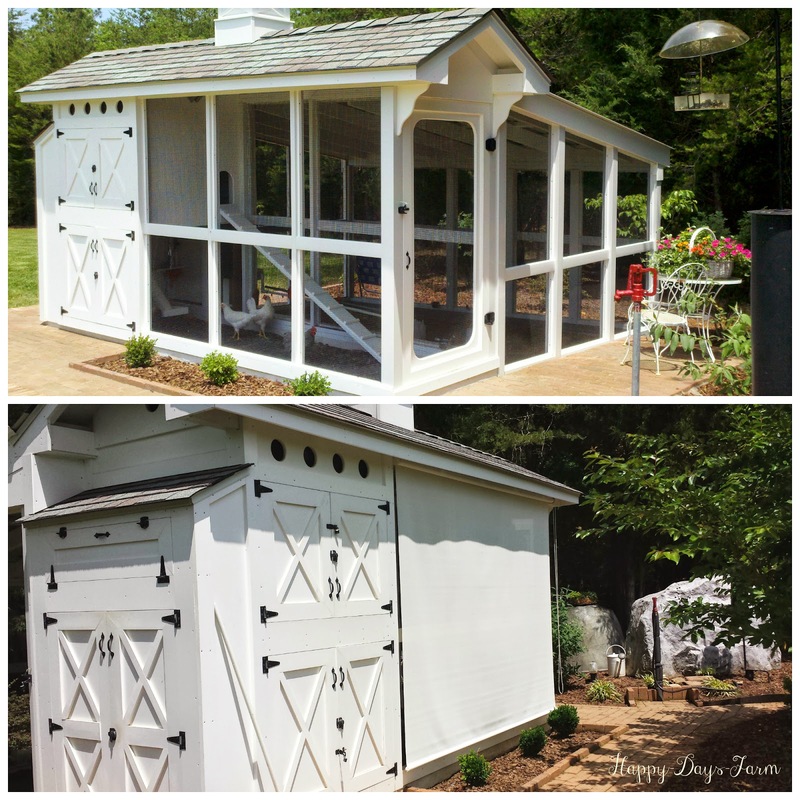 We keep the coop clean, but during the summer flies are always around. 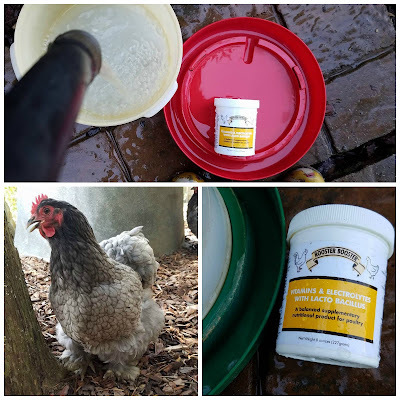 We hand rosemary and mint, clean up all messes, and don’t leave food out. But, these fans give me extra assurance that the flies will not be able to land in the coops. This will help prevent any cases of fly strike. Did you know that rabbits suffer from heat related also? Click here to learn more.